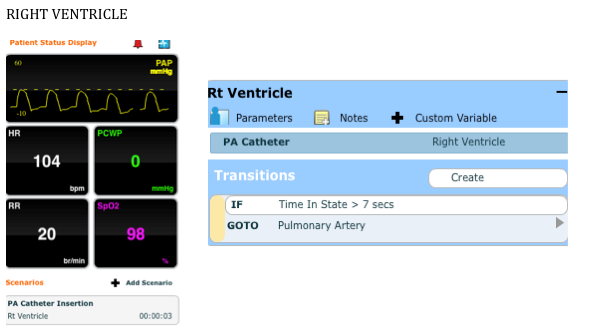 Being able to identify various waveforms associated with hemodynamic monitoring is a skill critical care and operating room nurses must understand. 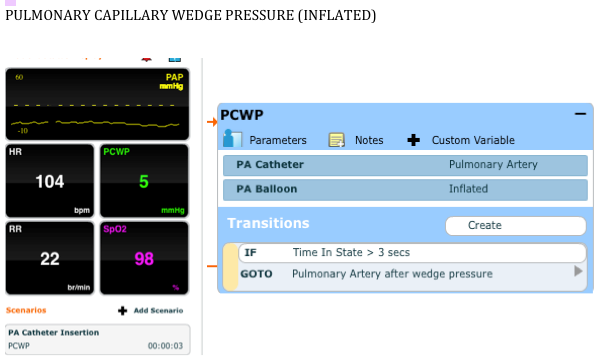 Instructors can now demonstrate the different waveforms associated with PA catheter insertion and the waveforms associated with dislodgement. 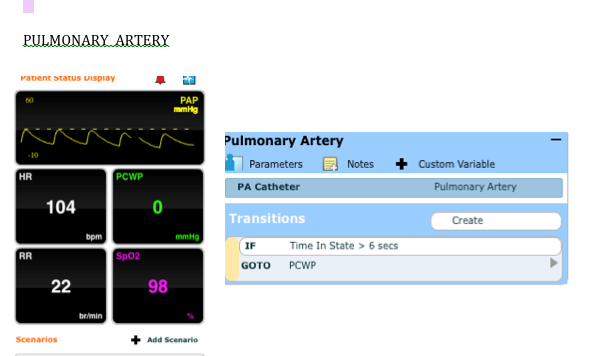 This scenario has been programmed to demonstrate pulmonary artery catheter insertion and the waveforms associated with this procedure in the Muse software. The scenario automatically transitions after three to seven seconds in the different states. 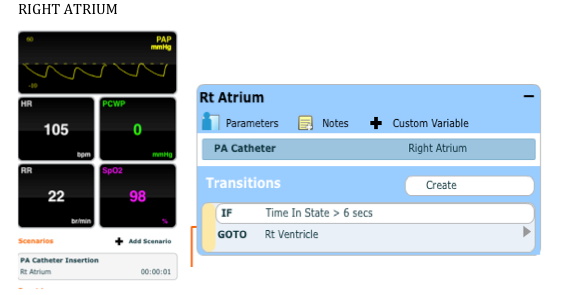 When running critical care scenarios, instructors may opt for a waveform that might signify a dislodged PA catheter as a way to prepare students for this type of situation that would need immediate attention in the clinical setting.